A mobile application which provides a buddy for newly diagnosed children with diabetes between the ages of 8 -12. It also works as a rewarding game where you complete challenges and win star points to unlock higher challenges. 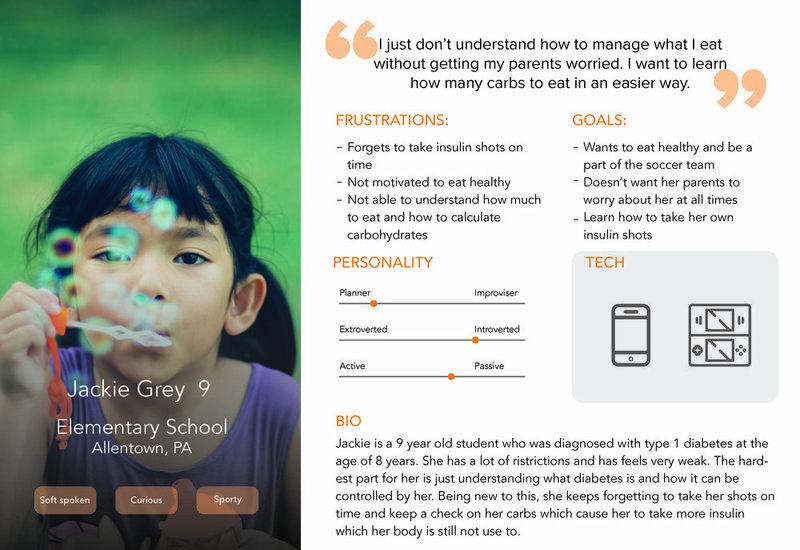 This was a two day design exercise to design a mobile application for newly diagnosed children with diabetes. 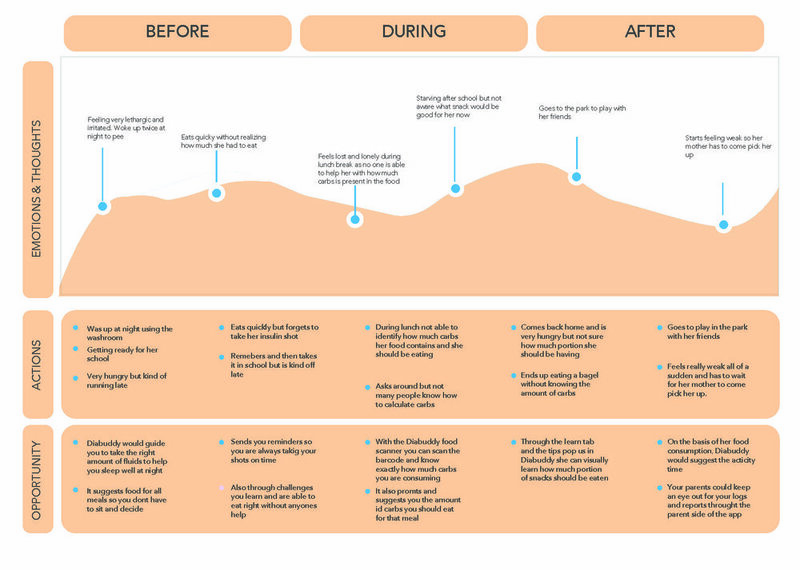 The user journey shows both situations, with and without the Diabuddy app. DiaBuddies is a mobile application which provides you with your own buddy. It also works as a rewarding game where you complete challenges and win star points to unlock higher challenges.